Safety should be the number one priority for companies across the spectrum. From the oil and gas industry, to pharmaceutical companies, to manufacturing plants, these types of companies have an obligation to recognize that they are dealing with harmful, dangerous, and potentially catastrophic gases and emissions on a day-to-day basis. That’s why at Safety Scan, we are committed to providing innovative and long-lasting solutions for these types of industries. With optical gas imaging, companies can not only monitor, detect, and locate a toxic gas leak in real time, but they can also actively monitor their plants and worksites to ensure that their fugitive emissions — whether from leaks or other unintended release of gases into the environment — are kept to a minimum. Safety Scan USA aims to improve safety at these types of worksites all around the United States. With smart gas leak detection devices like the Flir GF320, we do just that. Keep reading to learn how the Flir optical gas imaging camera can improve safety and stability within your industry and contact Safety Scan USA today to request a free demonstration at your facility. What Is Optical Gas Imaging? This is a good question to start off our discussion. Optical gas imaging, simply put, is a method which utilizes infrared thermal imaging to locate volatile organic compounds at the source. These fugitive emissions need to be caught and stopped as soon as possible, which is why the real-time monitoring capability of optical gas imaging cameras is so crucial. At Safety Scan, we use and distribute a state-of-the-art optical gas imaging camera known as the Flir GF320, which monitors, detects, and transmits real-time thermal images of gas leaks no matter where they are. While this is a relatively new technology, it has already swept the world as one of the smartest gas leak detection methods out there. With the ability to quickly and accurately identify fugitive emissions, which would otherwise be invisible, plants and working facilities have the ability to locate the source of the leak and put a stop to it immediately, therefore protecting against the harmful effects of fugitive emissions among humans while also mitigating further damage to the environment. This creates a safer, more efficient working environment — which is what we should all strive for at all times. The Flir F320 optical gas imaging camera is the superior technology for identifying toxic fugitive emissions and volatile organic compounds. By allowing users to scan the entire facility, even those hard-to-reach or inaccessible areas, the Flir F320 allows for comprehensive gas leak monitoring through a variety of environments. All of these chemical compounds, which are readily found in tanks and pipelines (even if they have been emptied), are potentially toxic and create damaging effects to our environment. What’s more, these gases are often impossible to see with the naked eye; but with the Flir F320, users can utilize thermal technology in order to see these vapors as they escape into the atmosphere. 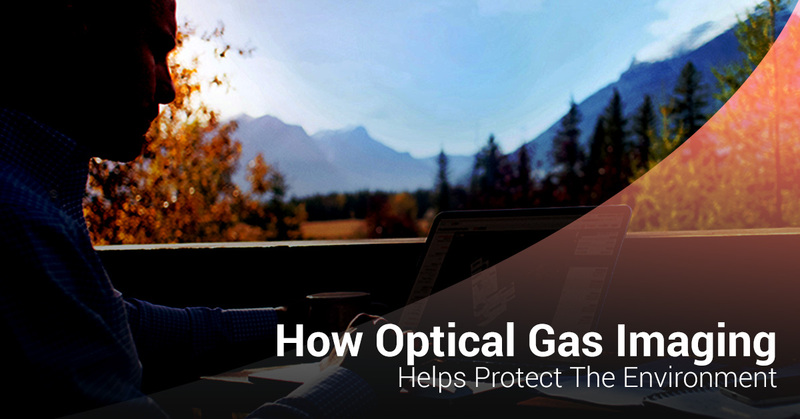 Optical gas imaging is just one of the great, innovative technologies we provide here at Safety Scan USA. We believe in bettering the world by providing innovative gas leak detection solutions not only for today, but for the future of our industries and the environment. As many environmental protection agencies begin to acknowledge the risk of pollution, the need to remain in compliance with their regulations is becoming more important than ever. Whether it’s the oil and gas industry, a pharmaceutical manufacturing plant, an oil refinery, waste incinerator or waste dumping site, or other large chemical plants, the risk of fugitive emissions is always lurking. But with the Flir F320 optical gas imaging camera, you can provide your facility with the tool it needs to protect against fugitive emissions in real time. Capable of producing both still images and live thermal video, the Flir 320 is the most versatile and smartest gas detection monitor around. Contact Safety Scan USA today to learn more about protecting your facility and the environment with our optical gas imaging devices.